Kaabil Review Kabil Movie Rating: Yami Gautam and Hrithik Roshan’s latest film Kaabil (Kabil) is all here in theaters and film appeared as a weak competitor to Aamir Khan’s Dangal. The mainstream media is focussing on Hrithik’s character in the movie, but the reality is unfortunately just catastrophic. The storyline of Kaabil is beyond capabilities of an average mind. Kabil is a home-production by Rakesh Roshan to boost his son’s career back in Bollywood. Let’s find out whether Kaabil was Kaabil or not. 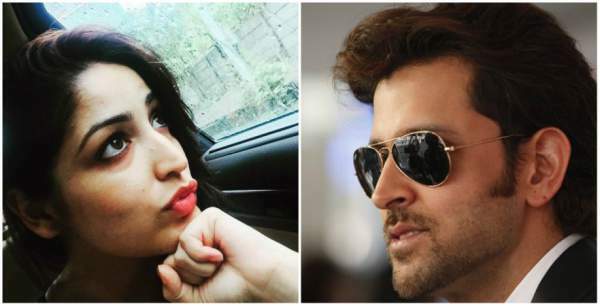 Hrithik and Yami are playing the leading roles in the films. Rohan Bhatnagar and Sue met each other and fall in love. The storyline till this part of the film is like any other Bollywood film. During the opening scenes, director Sanjay Gupta goes extra vigilant in showing astounding skills of the main cast. Sanjay Gupta is on top of his career with hits like Shootout at Wadala and Jazbaa. Direction, Costumes, and Cinematography are beyond average. The dress and makeup totally mismatch with the scenes. The storyline depicts that both of them were blind, but the actual film had shown as two blind people with proper dress and makeup even during the mornings. Least efforts were made from crew to make them look like real fighters for life. It appears that only one thing has been concentrated in the entire film – Focus on story, nothing else matters. Looks of the principal cast should be bit deglamorized according to the scenes, but that won’t happen. The storyline of Kaabil (review) is too much predictable. One can guess entire film right after watching the trailer. Coming to the acting, Hrithik Roshan is charming and fresh as ever. Most important part of the movie is its the Yami Gautam Finesse Performance Ever. Hard work of the lead cast is truly evident. Some of the scenes seemed to be completely bogus. Kaabil is a mundane love story, action, and melodrama for most of the film. Check: Kaabil First Day Collection. The first part of the movie depicts the story of two. How they met, what they do and their lives. Challenges of the duo and couple of classy songs. The second part starts with much energy showing the times getting challenging and fire of revenge. During the second half, you are definitely going to love Yami’s performance and how she manages to show both the difficult situations along with blindness beautifully. Check: Raees 1st Day Collections. There is not much great suspense in the second half of the film. The plot is very much predictable. Coming back to the direction, the film scored good points when it comes to showing the tough scenes. Bad times with Sue and revenge of Rohan had been shot beautifully theatrical. Dialogues are amazing as ever. For the fans of Hrithik Roshan, this film is actually a better work than Krrish 3. Kabil could be titled as a movie for kids, but unfortunately, it doesn’t appear so. Kids are going to get bored if opted for Kaabil. Rest assured, it could be the best watch this weekend for couples. Overall, the story of the movie is satisfying. The plot failed the expectations being easily predictable. The first half of the film is too slow and second half is definitely going to impress you all the way. TheReporterTimes gives Kabil 3.5/5 stars. Have you watched the movie? What’s your Kaabil review? Stay tuned for more news. kaabil such a very good movie, acting ,action & story also unbelieveble. Fantastic movie. ….kabil. I love Hrithik. I liked your honest take when you say movie was all predictable and one can see it in the trailer. However, trolls on social media shared a picture from the trailer showing Hrithik wearing a Watch(since blind) . No precision to detailing, seems fake and entirely not so good direction. 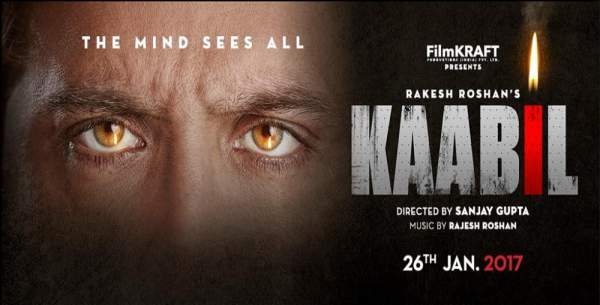 Just outstanding and it’s a (kaabil) really unbelievable ….after long time latter HR gives our a good quality movie. ultimate movie hritik is a best actor , hard work & honest for his work. so, I see this movie it’s best than raees . Raees is a so so . but at last hritik satisfy his fans. and yami gautam work is good. Lousy movie! Whoever thought of such a predictable plot. Too slow & boring. Waste of 3 hrs of valuable time. Even if someone gives you free tickets DONOT even venture near it. Spend time with your family instead out in nature. Donate the ticket money to a good cause.